Omega International Associates (Omega) believes that stability and economic growth in Tajikistan are critical to achieving stability in Central Asia and strengthening regional economic integration and advancement. Omega is dedicated to creating a sustainable presence in Central Asia starting with The Launch training center in Dushanbe, Tajikistan. 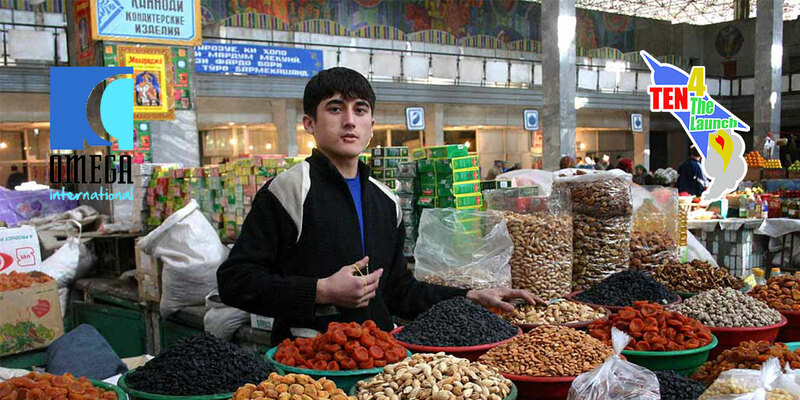 Many Central Asians hope to do businesses in other countries including China, Russia, The United States and the Euro Zone, study abroad, engage globally in trade or work in international humanitarian organizations. Languages and the ability to communicate are a key for jobs and economic advancement and the demand is great. Tajikistan and other areas of Central Asia are beautiful country with scenic panoramas and great mountains, key destinations for adventure tourism. Many people hope to start and develop businesses in this area. The Launch will offer training for locals to start guesthouses, cafes and other initiatives in this area. SPORTS COACHING Sports are a way to bring people together around the world. Soccer is very popular in Central Asia, and with Omega’s “Brazilian Connection”, we will have qualified Brazilian Soccer Coaches to train young people to be players, coaches and even create soccer schools as businesses. The School of Entrepreneurship will serve local entrepreneurs to develop successful business plans and understand how to launch their ideas for societal transformation and financial sustainability. We will be inviting successful entrepreneurs from around the globe to come as guest lecturers to share their ideas and visions with our students and staff. These skills added to foreign language skills will equip our students to launch into their own businesses. For more on our educational programs visit HERE.